When you think of the greatest mechanized hero of the modern era, only two words come to mind: Detroit Steel. You wanted the best? You got the best. But the best comes at a price. 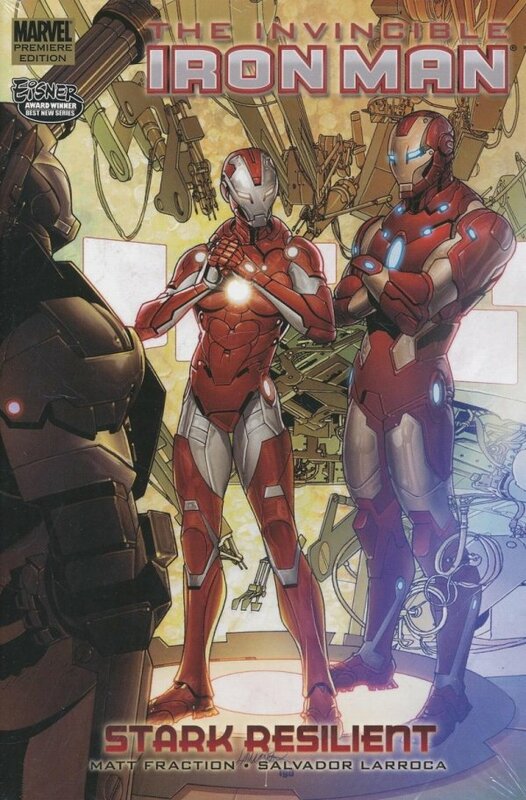 Meanwhile, Pepper Potts is on the road to recovery, but nothing is free from complication in Tony Stark's world - and this one's a doozy, even if it means the debut of an all-new Rescue. ?Plus: The gang at Stark Resilient burns the midnight oil against an impossible deadline, but they're not the only one?manufacturing a world-changer - the Hammer Girls are building an army of drone bombers as air support for Detroit Steel! And all of Tony Stark's plans are in danger as the greatest foe he's ever faced finally reveals his hand!